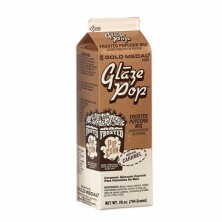 Get the great taste of Chocolate Glazed Popcorn at home with your Whirley Pop and our Chocolate Glaze! 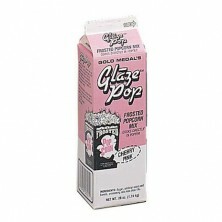 Just add ¼ cup of glaze, along with ½ cup of kernels and our Real Theatre popping oil to your Whirley Pop and let ‘er pop! In about 3 minutes you’ll have a big batch of ooey gooey good Chocolate popcorn that will keep you munching until it’s all gone. Works great with big popcorn, like our Extra Large Mushroom. 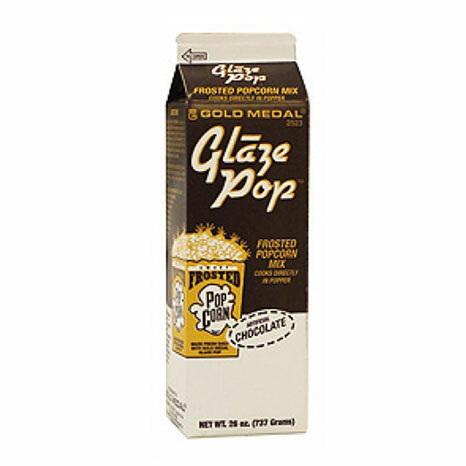 Please note, this product will glaze your popcorn with great chocolate taste, but is not the same as the fully coated popcorn that is made with special equipment. 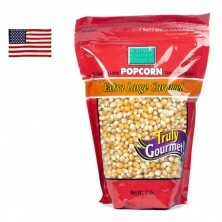 26oz carton will make between 6 to 8 batches.